I recently needed to compress images using one of the best compression types available, lzma. I did some research and with the help of commandlinefu and google, I was able to find what I was looking for. The above uses lzma with the best compression selected. 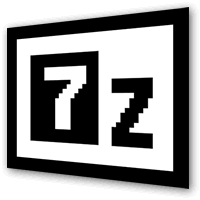 “file.7z” is the resulting file while “file.img” is the source file to compress. The above command uses lzma2, a newer version of lzma with better compression using multiple core’s as well as compressing already compressed content a lot more efficiently. I noticed using lzma2 that compression and decompression time was faster as more of my processor was used for the job.